Hello future, you are weird. At least it is here at CES 2019, the tech industry’s biggest annual conference. It’s where companies big and small come to launch gadgets and test new ideas. Not all of them make it to stores. But there’s an eternal optimism that technology can solve, well, almost any problem – even ones you never knew you had. There are suitcases that push themselves and automatic toilets for dogs. TVs are entering a new phase. 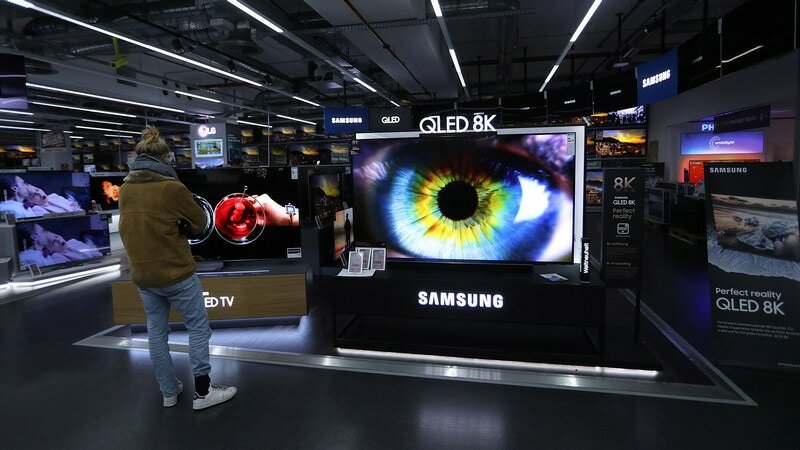 Just when we were getting used to UltraHD 4K televisions, the industry is gearing up to start pushing (still extremely pricey) upgrades to 8K sets. And talk about weird: Samsung and Apple became official frenemies by including an app for iTunes on Samsung’s newest TVs. Walking the show floor this year, I picked these products – some practical, some downright strange – that captured the spirit of where things are headed . . . or at least the creativity that makes CES so much fun. This is 2019’s must-have television for billionaires and wannabe James Bonds. 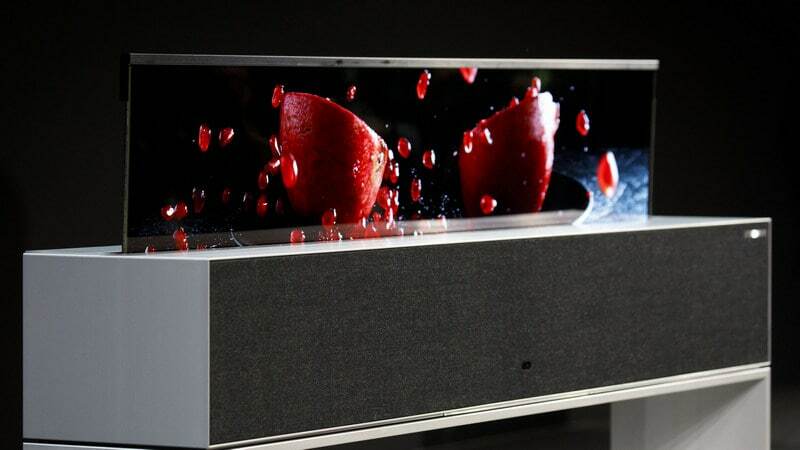 With the tap of a button, LG’s 65-inch TV dramatically rises from a long box where it is rolled up inside. How did they do that? The screen uses plastic and OLED tech, which in addition to having fantastic image quality is also capable of bending. (Coming this year, we’ll also be getting smartphones with foldable OLED screens.) The idea is you can place your TV in front of a window without having it block the view all the time. But with a TV like this, who wants to be inconspicuous? Go ahead and show off: LG says it can withstand being rolled up for at least 50,000 cycles. The suitcase that follows you like a puppy has been a long-running CES fantasy. This one, from a company called ForwardX, looks the closest to actually delivering. Cameras all over it identify you – as opposed to a someone else passing by – and then lock on and follow you at up to 6 miles per hour, avoiding obstacles along the way. (The company also put the same tech into a lawnmower.) When I tried it, the suitcase kept up about 75 percent of the time, even when I spun around in circles. You can wear a companion wristband that vibrates if your suitcase strays too far. Now can we get one that also unpacks itself? Sometimes CES makes strange bedfellows. Samsung TVs will now support an app for Apple’s iTunes movies and TV shows. That means you can buy video from Apple without plugging in Apple’s own streaming box, the Apple TV. And new sets from a variety of makers including Samsung and LG will also support AirPlay 2, Apple’s tech for beaming music, pictures and video from iPhones and Macs to the big screen. Why is Apple suddenly playing nice with other hardware brands? It’s part of a bigger push by the tech giant into making money through services, including subscriptions for music and (perhaps soon) streaming video. 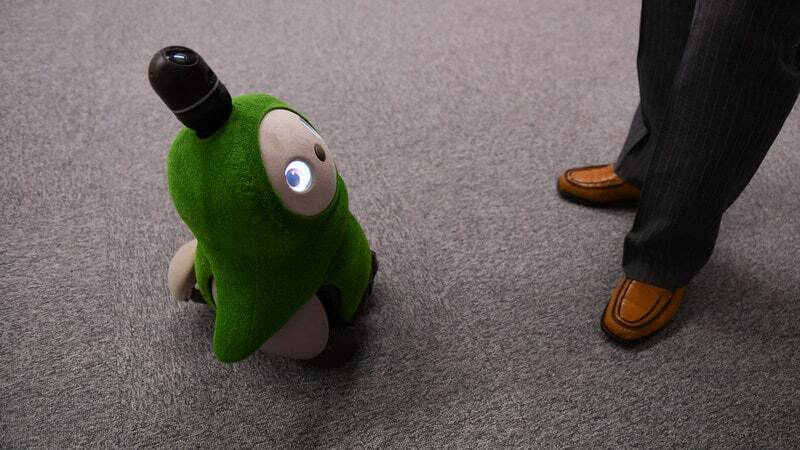 Japanese inventors really want robot pets to become a thing. First there was Sony’s Aibo the dog. These latest, from a firm called Groove X, is like a cat from the future: It doesn’t do anything. But its sophisticated technology makes you feel like you need to pick it up and cuddle, particularly when it flaps little cloth-covered arms. Some 50 sensors and cameras – many in a “horn” on top of its head – recognize faces and the heat of humans and other organic pets. Sold in sets of two, they’ll play with each other and also compete for your attention. Before you adopt one, though, know Lovots really do demand a lot of attention. Half an hour with two of them booping around and begging to be loved left me a little batty. Ring, the company that popularized internet-connected doorbells, has found a new place to stick one of its tiny cameras: your door viewer. From the outside, it looks like a doorbell, letting people in apartments, dorms or other buildings that only have knockers add that functionality. But this thing does more than just ring when someone presses the button: It pushes an alert to the owner’s phone that someone’s at the door, allows for two-way conversations and even records live video of what’s happening. You can also have it trigger an alert when there’s motion at the door or someone simply knocks. You’ll have to charge its battery from time to time. 4K is already old hat. Why do we need even more Ks? With 8k screens, the idea is we can sit closer without seeing any pixels. But it’s also a way for Samsung, LG, Sony and other manufacturers to start seeding the notion we need to upgrade in the next few years. In person, the pictures sure are crisply detailed – on a shot of a swarm of bees, I could see every disgusting hair. But for the moment there aren’t any decent sources of 8K content, so the TVs are all taking lower-resolution stuff and using algorithms to make up the pixels in between. The takeaway: 8K is in our future, but not something you need to buy today. Google’s ever-improving AI translation capabilities have made the leap to its smart speakers. Say “Hello Google, be my Italian interpreter” and, ciao bella, it’ll start listening, and translating – pronto! On Google Home devices with displays, you’ll see a split-screen readout of what it hears and the translation. It works in more than 20 languages. Google is piloting Interpreter at concierge desks Las Vegas, New York and San Francisco. It might also be a lifesaver in any home hosting a foreign exchange student. Can’t get home in time to walk Lassie? Inubox has got you covered in a very techie way. Lassie steps in, and sensors detect when she’s done her business. Then a shelf closes up and cleans itself, pushing the waste into a sand basket and, eventually, sealed baggies you dispose of properly. At the end of the process, it automatically dispenses a treat for the dog, too. Inbox promises the whole thing is odorless to humans, though it smells like a toilet to a dog.